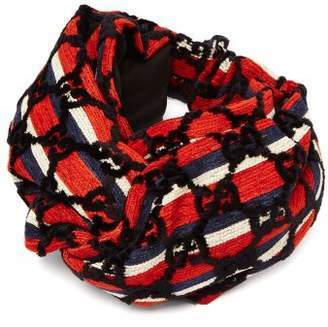 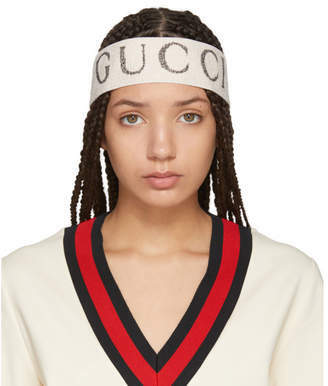 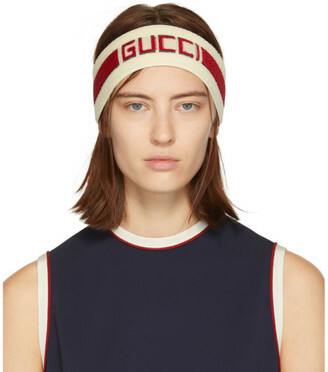 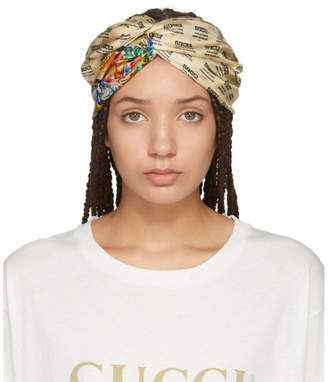 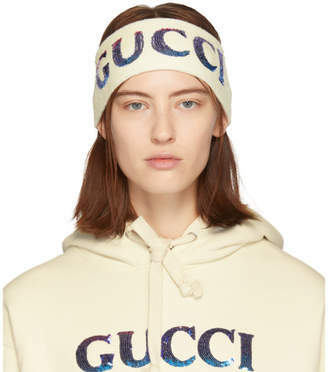 Gucci - Gucci's latest collection features an array of retro-inspired pieces, and this green headband is part of the line-up. 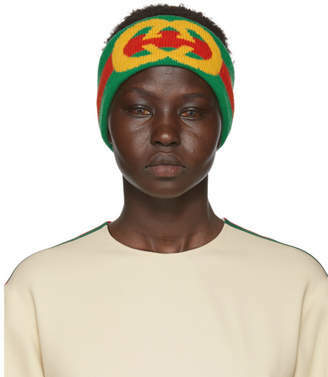 Crafted in Italy from wool, it has a stretchy fit for ease of wear and is accented with a contrast red stripe and the house's emblematic interlocking G in mustard-yellow. 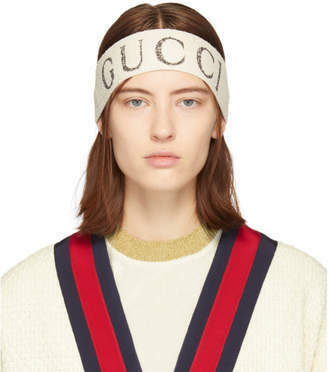 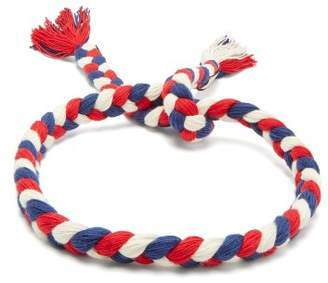 Wear it to bring a 1980s mood to your daytime edits.